So that you may become blameless and pure, "children of God without fault in a warped and crooked generation." Then you will shine among them like stars in the sky..
We live in a world where we see and experience injustice every day. It is truly hard. Yet in the midst of it all, God is doing a new thing. He is raising up generations of men and women to manifest His glory on earth. The Message Trust is passionate about reaching young people, seeking to break the cycle of poverty, unemployment, gangsterism and crime that negatively impacts young people in communities across Cape Town. We have faith in young people and seek to raise up “Urban Heroes” who will become godly leaders in their families and communities for generations to come. Urban Heroes are men and women who were once the problem, and have now become the solution within society; sharing their testimonies and life experiences to help other young people find their purpose in life. They are those who now say “no” to crime and “yes” to God! 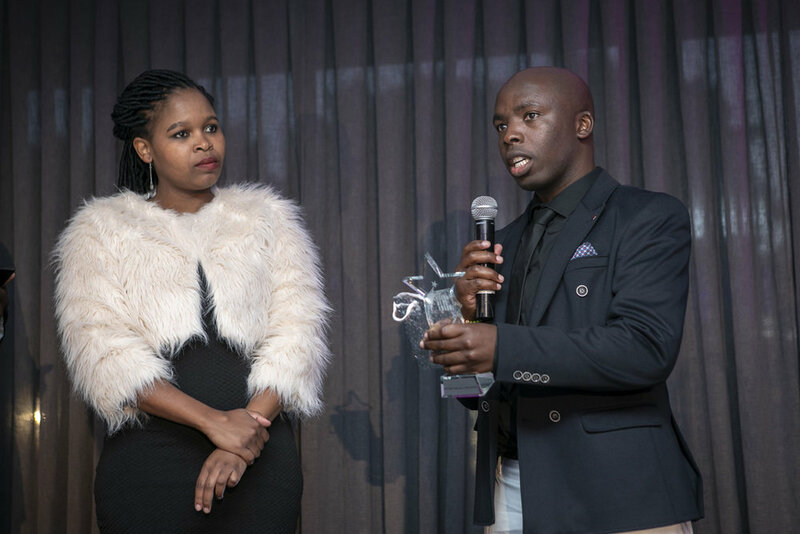 After months of preparation, we finally hosted our first Urban Hero South Africa Awards at the Ritz Hotel in Sea Point on the 1st of November, 2018. The evening was filled with excitement as guests and businessmen from all over Cape Town flooded the Ritz Hotel lobby to witness and take part of this exciting event. Democratic Alliance (DA) Leader, Mr Mmusi Maimane, was among those who came to witness this prestigious event and present a trophy to one of the award winners that night. Our International CEO & founder of The Message Trust, Andy Hawthorne, spoke on the vision God gave him to see young people’s lives being transformed through the gospel of Christ; and seeing that happening in Cape Town from a vision birthed in the UK says a lot about carrying the vision of God! It was a great honor to have been part of The Message Trust’s first ever Urban Hero Awards! Me and my friend Jade were very excited to be volunteering as hostesses on the evening. The awards were for all our Urban Heroes who are helping to better our society by sharing and living a positive life in their society. These men and women defied the odds and refused to be victims of their pasts, rather they changed to become change agents for young people in their society using their life stories as testimony of the saving power of God. We are thankful to everyone who helped us make this night possible, our sponsors and donors and the Message Team for their hard work and dedication.